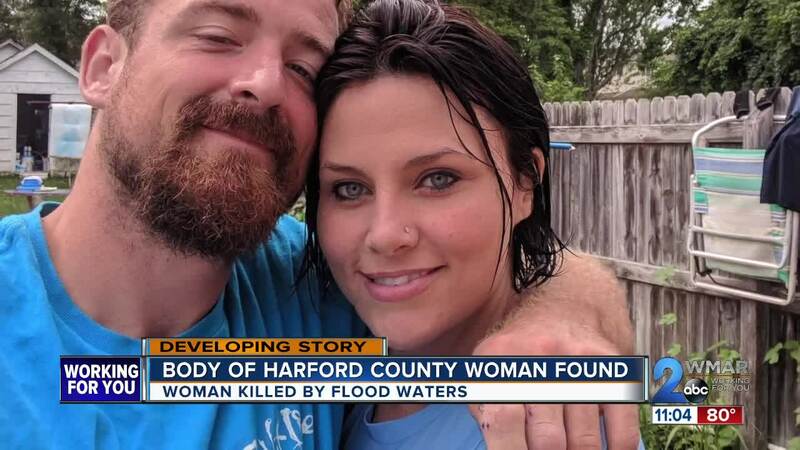 The body of the woman who was swept away by flood waters Friday has been found. 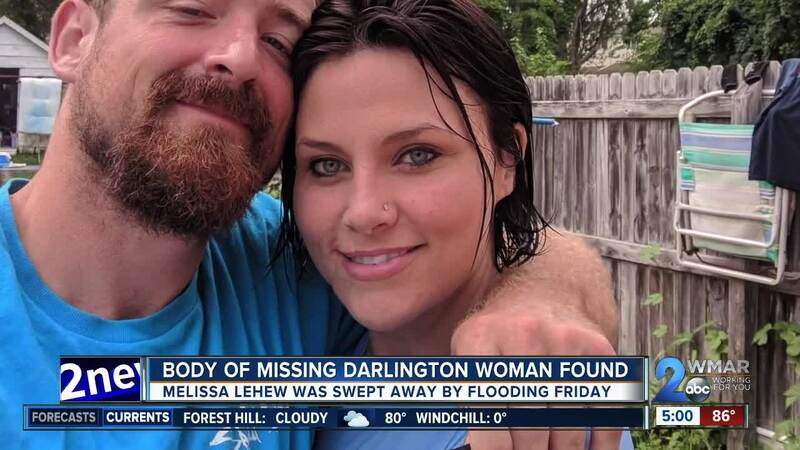 Melissa Anne Lehew's boyfriend Kyle Bowman said he was out searching the quarry for her in his kayak Monday afternoon when he made the tragic discovery. “I’m just glad we got a little bit of closure and that we found her. I’m just glad that the efforts of all the people who came out to search for her paid off and we were able to bring her home," said Bowman. Lehew and Bowman stopped on along Broad Run Bridge in Churchville to help a man trapped by flood waters Friday. Lehew and the driver were both swept away by the water and could not be found Friday. The body of the stranded driver, 67-year-old Daniel Samis, was recovered Saturday. Maryland State Police had been searching the area since the incident occurred Friday. Searches were suspended Sunday after two Baltimore Police divers assisting in the search had to be transported to Shock Trauma after an emergency caused them to ascend too rapidly. Lehew, a Darlington resident, was a mother of four children. Bowman said she also went by Elizabeth. #UPDATE @MDSP can confirm that the body located today in Harford County is Melissa Lehew, 34, of Darlington, MD, who was swept away by swift water Friday evening.